Adolescent family violence has detrimental effects on the health and wellbeing of families, and is surrounded by stigma and shame. Family violence and youth justice have been subjected to an intense focus in Australia in the past year. Reviews have revealed the failure to provide effective responses to these issues. Government responses to family violence have emphasised the importance of perpetrator accountability, while in the youth justice field recent reforms have seen a toughening of legal responses. Adolescent family violence has implications in both of these areas. However, it has been the subject of limited inquiry. Adolescent family violence is violence used by young people against family members. Most often, it refers to violence occurring within the home. It is distinct because the adolescent requires ongoing care even when violent, which mean responses used in other cases of family violence can’t readily be applied. It has detrimental effects on the health and wellbeing of families, and is surrounded by stigma and shame. 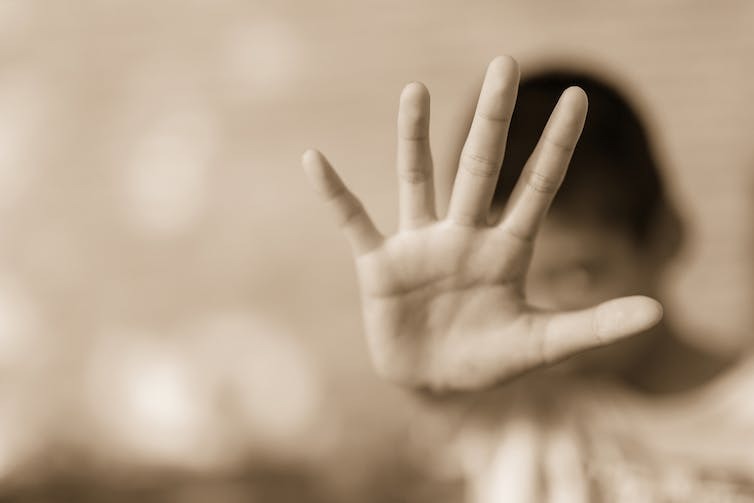 Data from the Melbourne Children’s Court show that between July 2011 and June 2016, there were 6,228 applications made for a family violence intervention order where the respondent was 17 years or younger. There were 4,379 cases involving a male adolescent, and 1,849 cases involving a female adolescent. In 45 cases, the respondent was aged ten-to-11-years-old. In more than half the cases, the affected family member was the female parent of the adolescent. Existing international and Australian research suggests that adolescent family violence is largely unreported. Consequently, rates of recorded adolescent family violence are likely to underestimate its extent. There are complex reasons for reluctance to report. They include parental shame and self-blame, fear of consequences for the adolescent, and an inability to locate an appropriate service. Our research into adolescent family violence, which includes an anonymous open survey of those affected, reveals a wide range of abusive behaviours. These extend well beyond physical violence and include coercive and controlling behaviours, property damage, and economic abuse. Having doors broken in my home either through continuous banging, punching or throwing bricks through the glass. Having a teenager scream and yell at me, swear and belittle me. Being spat on. Having a teenager stand over me and using threatening behaviour to get what he wanted such as money or other items of value. I don’t invite people into my home because of the damage and because my home environment is very unpredictable. I have lost a lot of confidence in my abilities and feel like a failure as a parent. I don’t get much sleep as I am constantly worried for my son’s wellbeing. Adolescents who use violence in the home often have complex needs and may have experienced family violence themselves. Parents described their adolescents as suffering from substance abuse problems, depression and anxiety, and mental health and intellectual disability disorders. My 13-year-old son had major depression and anxiety combined with poly substance abuse. Whenever we tried to challenge him even slightly about his drug use or general behaviour, he would get extremely angry – acting in a threatening manner by standing over us and yelling, hurling abuse and saying horrible derogatory things about us, punching holes in walls, slamming doors until they broke. All of this was very traumatic and sometimes quite terrifying. My son is 13. He has Asperger’s Syndrome and experiences overwhelming sensory overload with his body flooded with adrenalin. He deals with this by fight or flight, the default being fight. Mostly this involves lashing out with his fists, but he has attempted to use weapons, such as a knife. This only happens when he is overloaded but is frightening nonetheless. Recognition of the complex needs of adolescents who use violence in the home suggests that, while family violence committed in any context must not be excused, there is a need to respond to this particular form of it – where possible – outside of the criminal justice system. Our research is revealing that families who have experienced adolescent family violence and those working with them feel the criminal justice system is not appropriate. In contrast to cases of intimate partner violence, where separation of the parties involved and obtaining an intervention order or court outcome may be a priority to ensure safety, parents often want to maintain the family unit in adolescent family violence cases, and are acutely aware of the stigma and consequences of criminalising their child’s behaviour. We were worried that if we called the police things would escalate more … We also thought that if we called the police we would completely lose any remaining trust or relationship with our son. On each occasion, I have felt that the situation was futile. Through calling the police [our son] felt like I have betrayed him … it did not result in an outcome where our family got any support or help. The need to move away from criminal justice responses is important to emphasise in the current political climate, where youths are increasingly facing more punitive consequences for using violence. Recognition of the complex needs of all those impacted – including adolescents who use violence, and their parents, carers and siblings who are victimised – reinforces the need to look beyond punitive justice responses in tackling this form of family violence. Victoria’s Royal Commission into Family Violence found that there is a limited understanding of adolescent family violence among family violence specialists, youth and family services, and in the justice system. Our research aims to contribute to urgently needed knowledge about adolescent family violence’s nature, extent and impacts. Across Australia there is a need to better understand this complex form of family violence, and to develop specialist knowledge and multi-agency responses. Effective responses will require government commitment in terms of specialist funding and the resourcing of new forms of integrated service responses. If you have experienced adolescent family violence, please consider sharing your experience with us via our anonymous online survey. (Screenshot. See below for link to the interview). 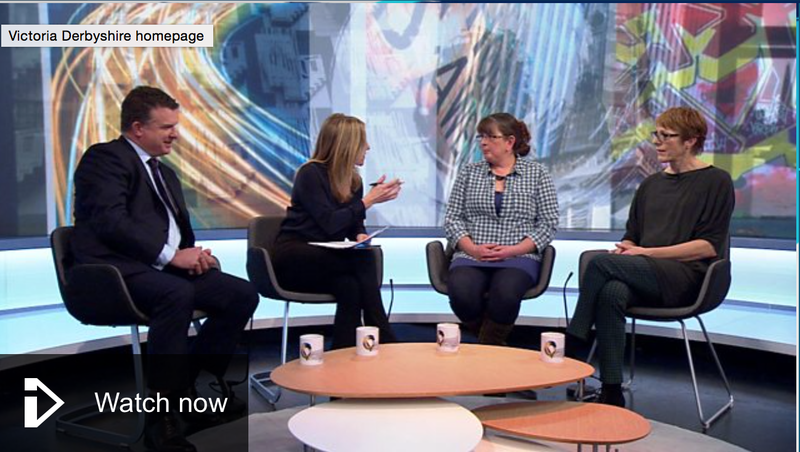 This week saw huge progress in the drive to make child to parent violence less of a hidden problem, with a headline story on Monday’s Victoria Derbyshire show on BBC2, presented by Joanna Gosling. A film, produced by West Midlands journalist Noel Phillips, led the story, and there was studio discussion from me, alongside Ann Ramsden of the Rosalie Ryrie Foundation and Seamus Oates, Executive Head Teacher of TBAP, representing the Youth Justice Board. The Family Lives helpline was offered for anyone seeking more support or information, and Anastasia de Waal chair of Family Lives answered questions throughout the day on local radio stations also picking up the story. If you listen to local radio you may also have heard stories from other families experiencing violence, and local practitioners discussing their work. The film features interviews with a mother whose son was eventually removed from the home following violence to her, two young lads speaking candidly about past violence and abuse towards their mother, interviews with Cherryl Henry-Leach, leader of the Doncaster programme – Getting On, and Peter Jakob of Partnership Projects. I have been asked about the figure of 4 million families being affected, offered by Noel Phillips early on in the film. This comes from the 2012 4Children report, The Enemy Within, based on a YouGov survey, which asked families about their experience of conflict and violence. We are all very excited to have been involved in this, and look forward to further development of these stories being taken up in the same way in the future.